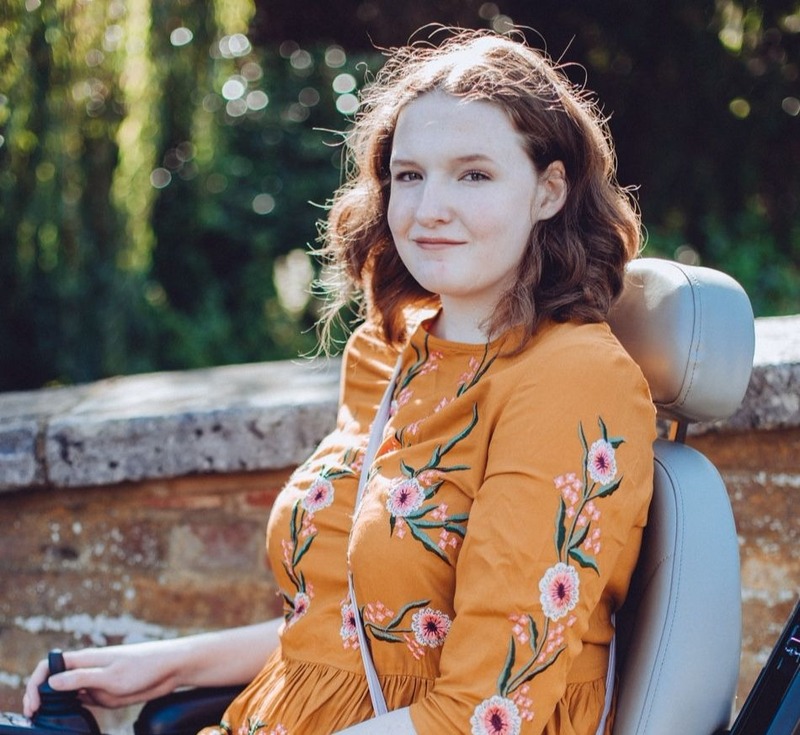 So I'm not even a week post op but I'm already home, sitting up and typing up this post! Last week flew by and I can't believe I'm already home, it is nice to be in my own bed, hospital beds are not comfortable! If you've been following me on twitter you'll know that the operation went really well with no problems at all, it took 3 hours as planned and I was in hospital for 5 days, as planned. It was so different from the first operation though, I don't have a little diary to share with you like last time purely because I remember everything and had no need to write it down. Me just hours after the operation! I remember being put to sleep, I wasn't nervous at all and was laughing with the nurses and doctors until I finally shut my eyes. 3 hours later I woke up in recovery and I remember it quite clearly, I kept on saying I was surprised over and over again because I was in nearly no pain, now I know that the reason behind that was because I'd had a lot of morphine. That day went smoothly with no problems but the day after wasn't so great, they struggled to control my pain as they stepped me down from the strong painkillers too soon. 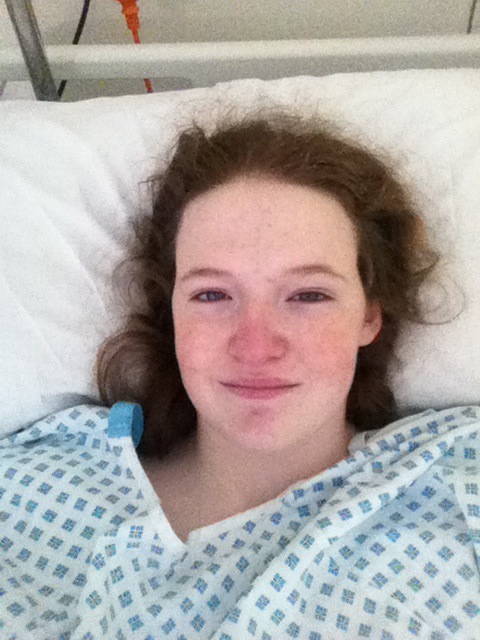 The doctors were able to control it again as soon as they realised though and I was able to start my recovery again. I sat up and stood just hours after the operation and my mobility only got better, I was walking and turning myself in bed very quickly. Now I'm sitting up at home and honestly it doesn't even feel like I've had an operation, I'm moving around like everyone else. The aim of the operation was to stop my nerve pain by removing and replacing one of the screws. I was told that it could take 3 months for the pain to clear up but I'm already seeing results. Just 3 days after the operation I sat up for about 45 minutes without any leg pain and today I sat up for an hour in the morning and about an hour in the afternoon, so far that is. That is something I could never do before the operation and it is very weird, I don't know what to do with myself when I sit up, I wait for the pain to kick in but so far it hasn't. I really hope I continue to recover this well. I don't have any restrictions like last time and as soon as my scar has healed and I have my dressing taken off in a weeks time I'll be good to do whatever I want as long is it doesn't hurt! I've spent the last 9 months doing not much at all so I can't wait to get my life back on track but it will take some getting used to I think. A big thanks for all your support on twitter, it was nice to get lots of lovely tweets just hours after the operation, I still can't believe that I was on my phone only a couple of hours after I'd woken up haha! Glad to hear your back and doing well! Very glad to hear that things are progresing well, I would still be cautious myself but movement is exactly what you were aiming for! I'm happy to hear everything went well. Sleep up, and take your time recovering. Happy to hear everything went well!! Have lots of rest and you'll be back to good in no time! great to hear everything went well and you're back and blogging!